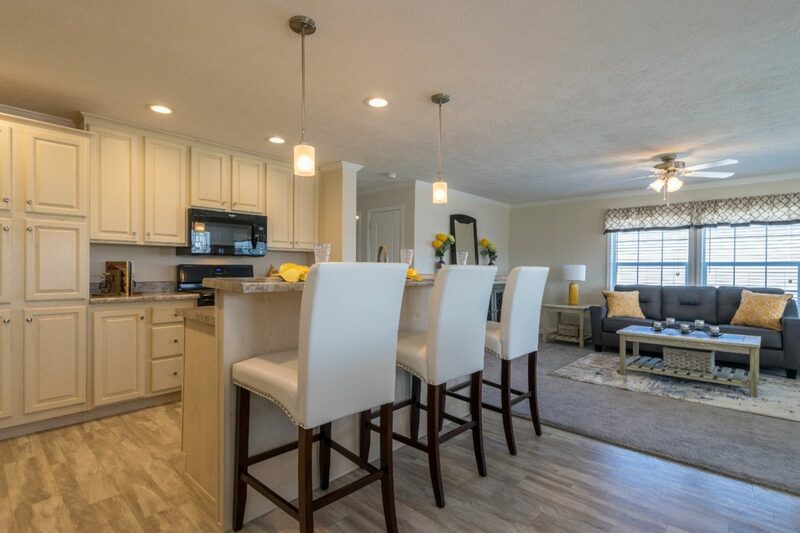 In the mood for entertaining? 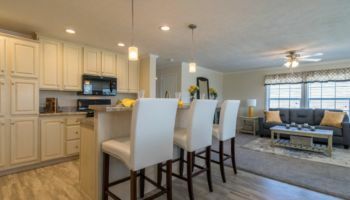 The home’s open floor plan naturally flows from the living room to the kitchen and into the dining room, allowing guests to socialize in the natural light filled great room, share a cocktail and appetizers at the kitchen’s center island, or enjoy dinner in the adjacent dining room. 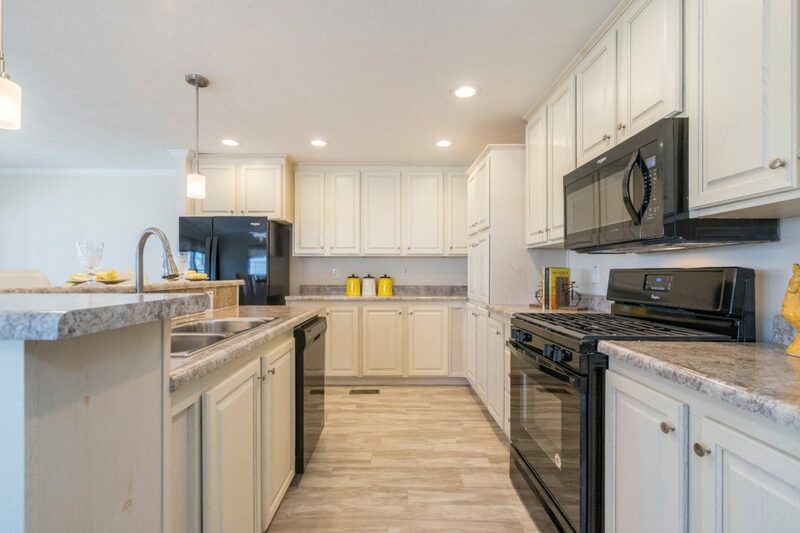 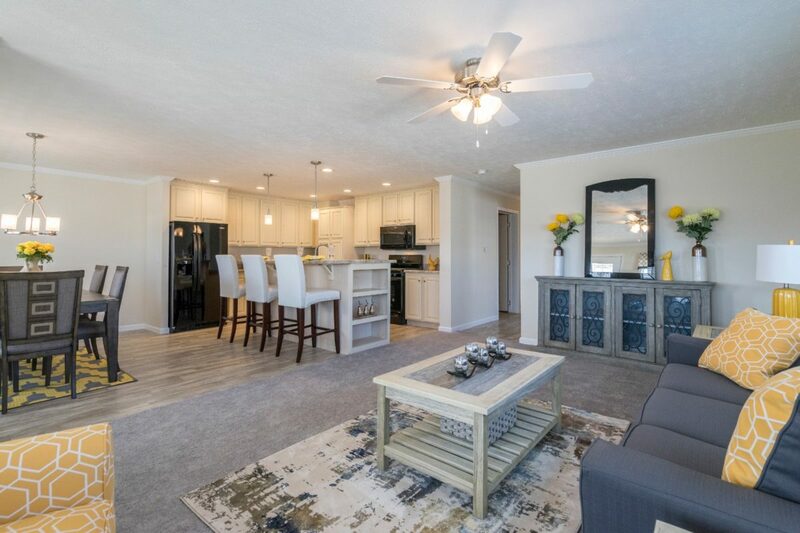 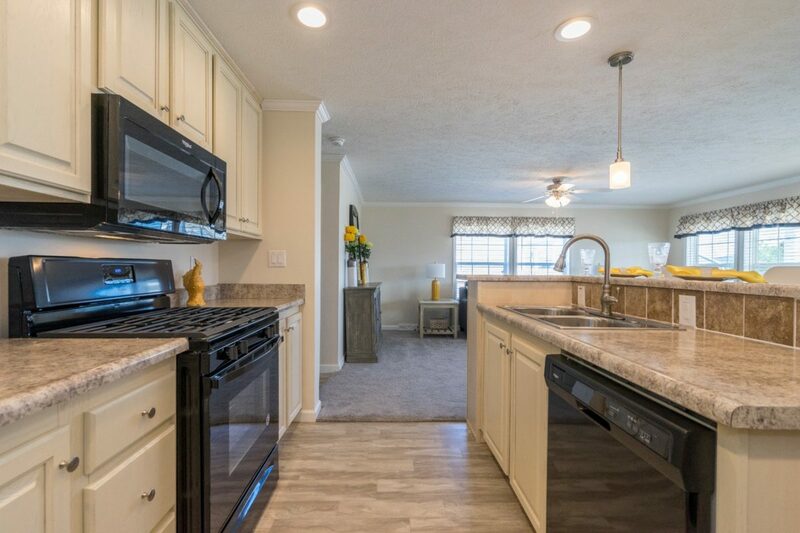 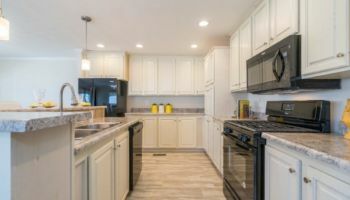 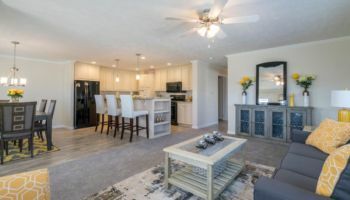 Cooking enthusiasts will also celebrate the spacious kitchen, featuring rich wood cabinets, a contemporary backsplash and state-of-the-art Whirlpool appliances. 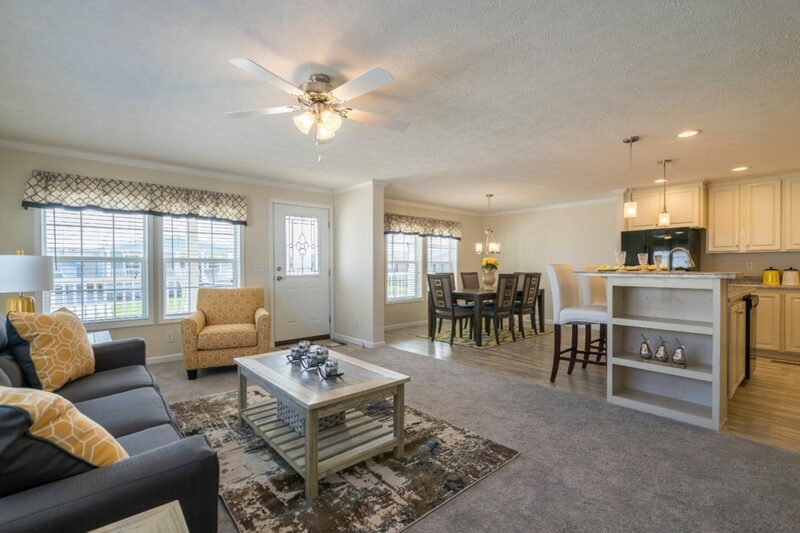 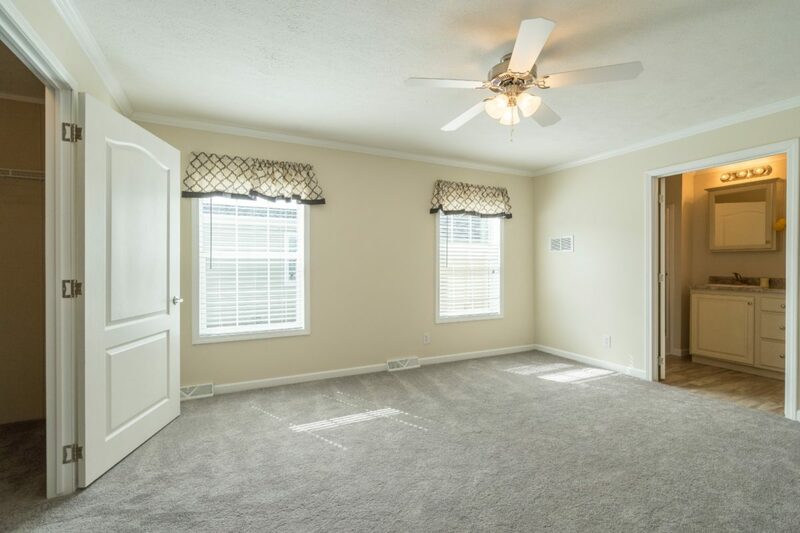 A central hallway located off of the great room takes you to the home’s three bedrooms, each of which features large windows and warm wall-to-wall carpeting. 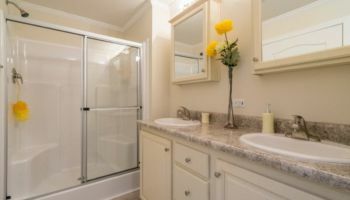 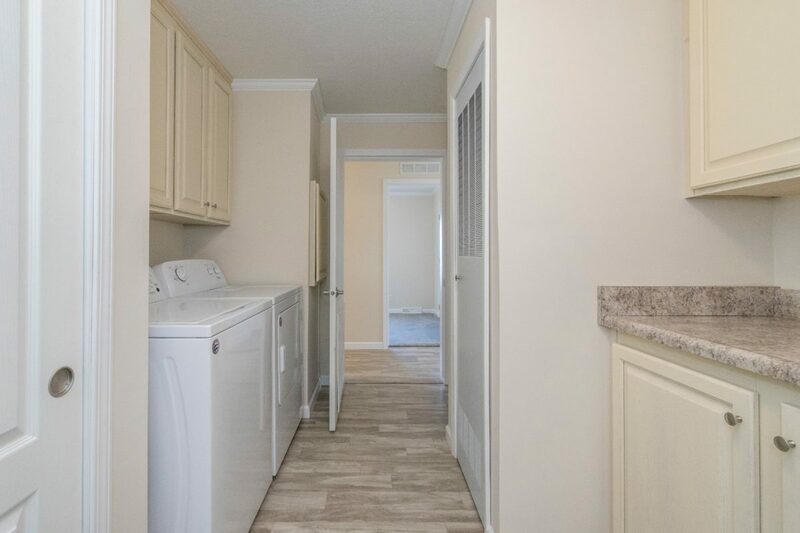 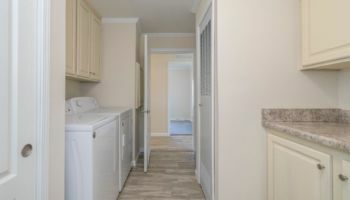 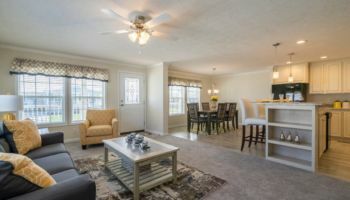 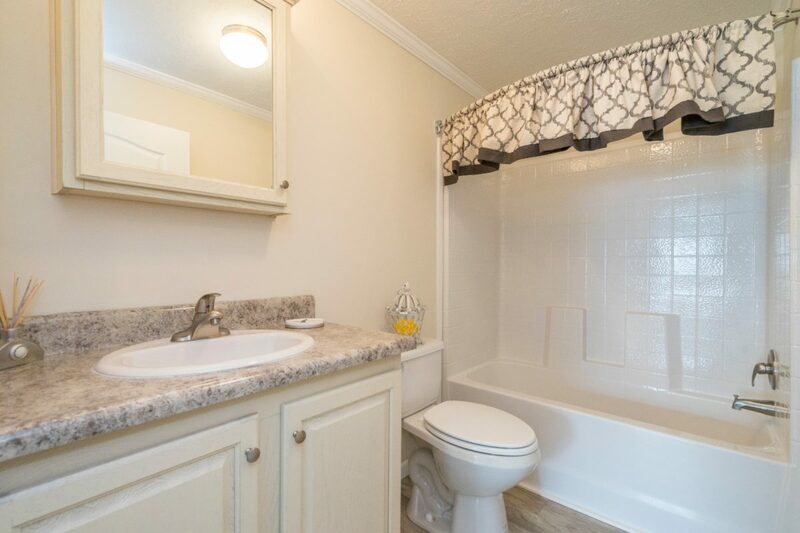 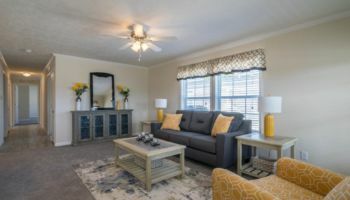 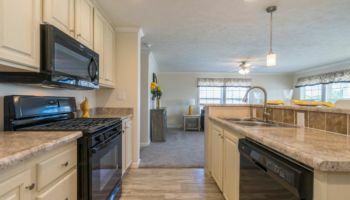 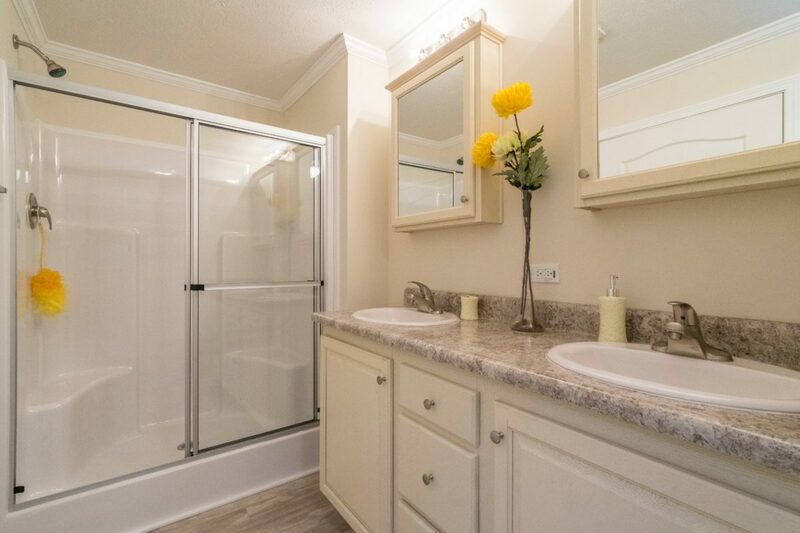 Also located off of the main hallway is plenty of storage with two large closets, and a full laundry room complete with a Whirlpool washer and dryer. 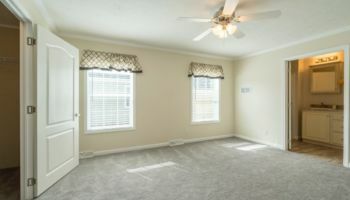 One of the guestrooms is the perfect size for a private office or den, while the second bedroom is just waiting for guests to arrive. 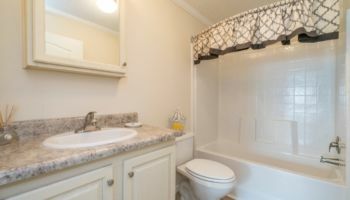 The true star of the show, however, is the large master bedroom that features a decorative en suite bathroom with double sinks and a large shower. 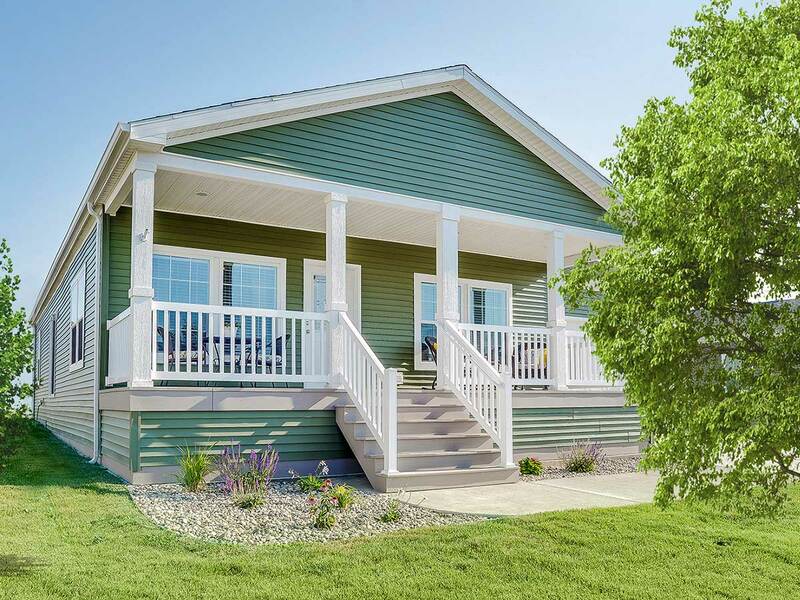 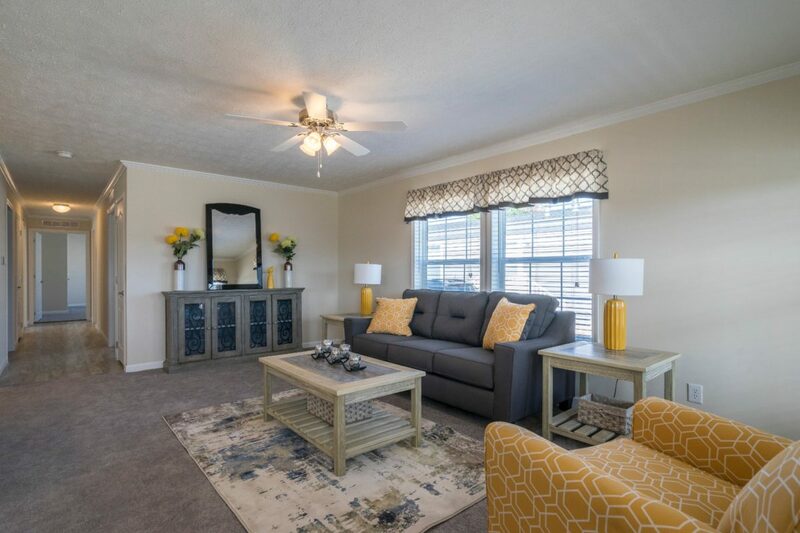 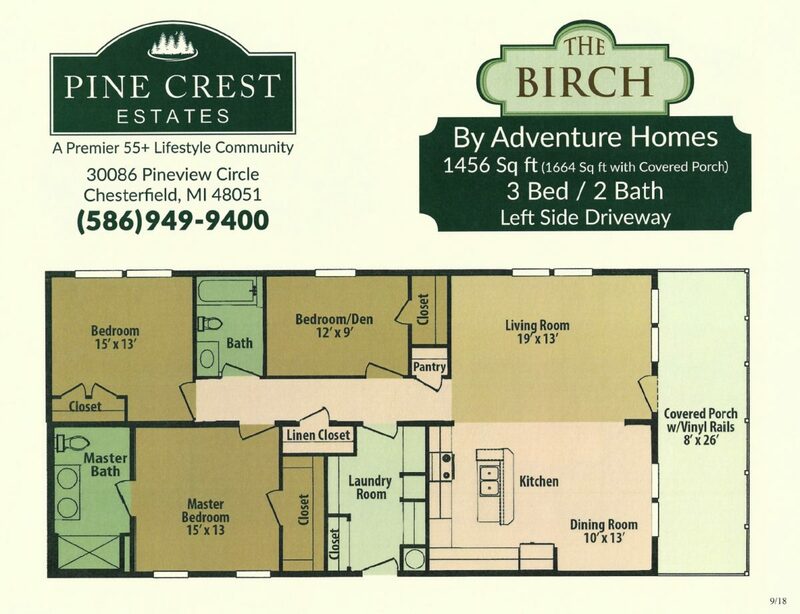 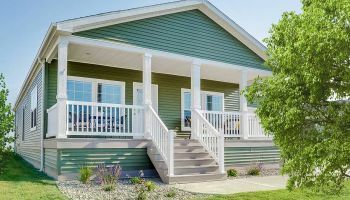 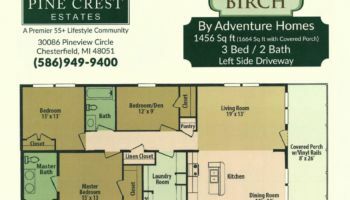 Finally, when it’s time to unwind after a long day of enjoying Pine Crest’s on-site activities and amenities, you can retire to a covered front porch and enjoy a refreshing beverage.